The evidence concerning prognostic parameters for clinical decision-making in penile cancer is either weak or missing. We therefore analysed the prognostic value of the revised TNM and WHO classification systems on relapse and survival with special emphasis on HPV status. We collected clinical data and tissue samples of 121 patients from centres in Germany and Russia. HPV genotyping and p16INK4a immunostaining were performed. The histological subtype and TNM were reclassified by two experienced uropathologists. Survival analyses were performed by Kaplan-Meier estimator and log-rank test. Uni- and multivariable analyses were performed by Cox proportional hazard model and Fisher’s exact test for contingency analysis. HPV status was not found to be an independent prognostic factor. Histological subtypes differ in prognosis with the best outcome found in warty and the worst in basaloid carcinomas. Patients with pT1b defined by poor differentiation or lymphovascular invasion (LVI) had the shortest metastasis-free survival compared with pT1a (log-rank, p = 0.02). 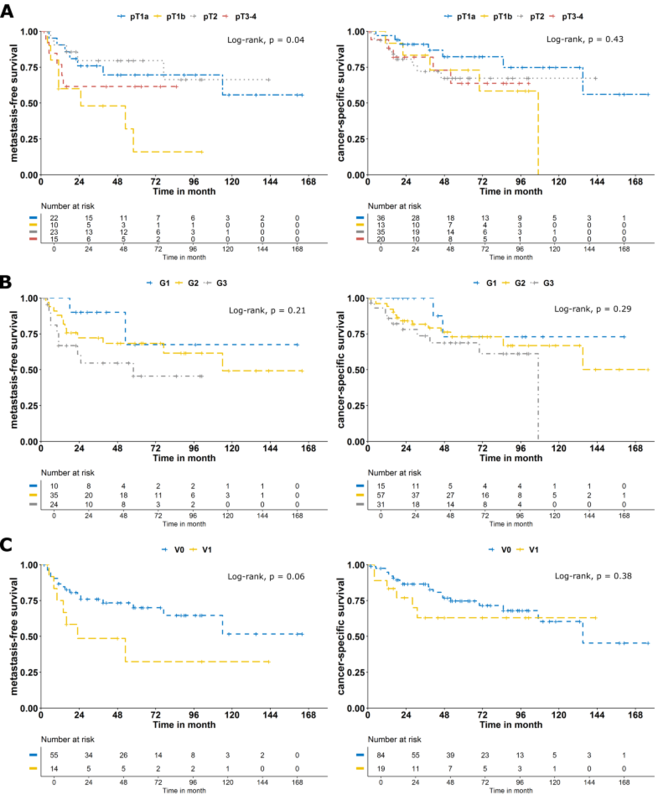 Lymph node metastasis and LVI were significantly associated with poor metastasis-free, cancer-specific and overall survival and could be identified as the only independent prognostic parameters. Prognostic value of TNM could not be improved using the 8th versus the 7th edition. 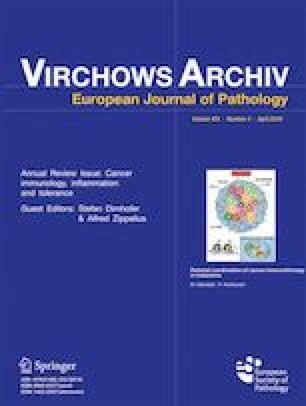 In contrast to HPV status, histological subtypes are of prognostic value and should be an essential part of pathologic reports. The impact of the HPV status needs to be analysed in a subtype-specific manner. Parameters describing lymphatic dissemination have the highest impact on prognosis. Inclusion of tumour grade and LVI into a single T-category (pT1b) seems questionable. Sebastian Hölters, Oybek Khalmurzaev, Alexey Pryalukhin, Arndt Hartmann and Kerstin Junker contributed equally to this work. The online version of this article ( https://doi.org/10.1007/s00428-019-02566-0) contains supplementary material, which is available to authorized users. We gratefully thank Nicole Fuhrich from the Institute of Pathology, Erlangen, and Jakob Schöpe from the Institute for Medical Biometry, Epidemiology and Medical Informatics, Homburg, as well as Maria Link, Gullan Hebel-Klebsch and Alexander Vogt from the Department of Urology and Pediatric Urology, Homburg, for the excellent technical support. Authors KJ, AH, SH and VM conceived and designed the study. SH, OK, AP, RB, PL, HL, HW, XK, SU, TP and CG acquired data. SH, AH, AA, SS, JH, MS, MJ, JS, SW, AP and KJ have been involved in data analysis and interpretation. SH, JH, KJ, MS, AH, AA and SS wrote and edited the manuscript. All authors reviewed the manuscript. All authors gave final approval for publication. Author KJ takes full responsibility for the work as a whole, including the study design, access to data and the decision to submit and publish the manuscript. Because of the retrospective character of this investigation, informed consent could be obtained only from a part of patients. Therefore, data have been analysed anonymously.